Pilot Group was established in 1996 and it’s currently the largest local PR group in Taiwan. Over the past 20 years, the group has provided professional services in PR and communications to nearly 600 international brands, transnational enterprises, local small and medium businesses, government departments, and nonprofit organizations. Pilot Group is one of the most influential marketing and communications groups in Taiwan. Pilot Group has 7 agencies, which form a 360-degree network for integrated marketing services. 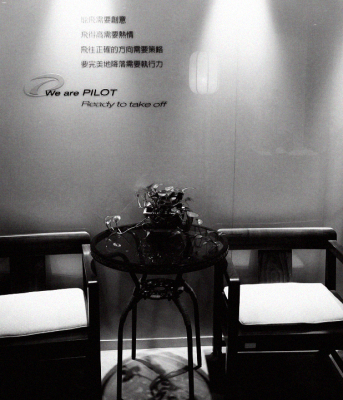 Headquartered in Taiwan and with a branch office in Shanghai, Pilot Group now has 170 employees across the Strait. The clientele of Pilot Group has expanded to cover a variety of industries such as consumer product, technology, telecommunications, digital content, restaurants, cosmetics, hotels, tourism, domestic appliances, home decor, boutiques, and fashion. Today, Pilot Group is a multidimensional PR group capable of comprehensive services.